We hope this week's more springlike weather will inspire you to participate in some of the outdoor events scheduled for the upcoming holiday weekend. This Saturday afternoon, there's a Tax Day rally in Cambridge and the March for Science in Boston - with careful planning, you might be able to attend both! 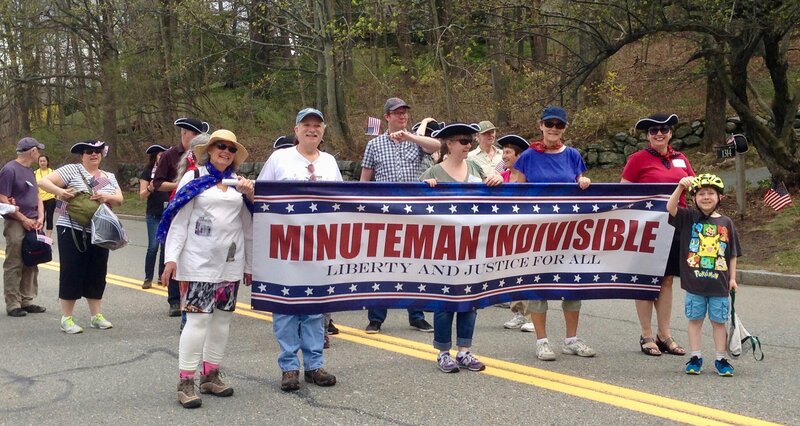 Monday provides a unique opportunity to support Minuteman Indivisible by marching with us in Lexington's Patriots' Day parade - see the Morning Coffee Action section directly below for details. If you prefer indoor activities, there's an MI Book Club meeting tonight, a phonebanking/postcarding party this Thursday evening, and two performances of Missa Gaia: A Mass for the Earth on Friday and Saturday nights, where our Climate & Environment Team will be providing information about their activities and plans during intermission. 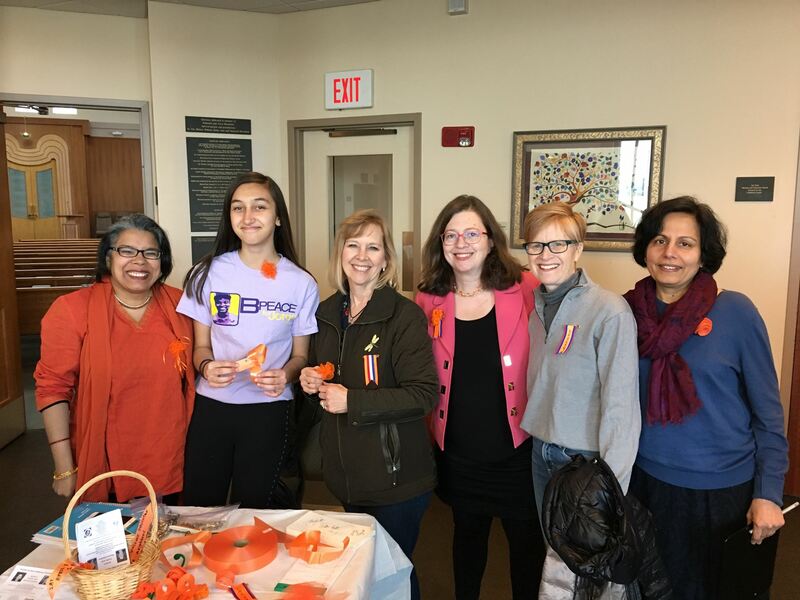 This week's Spotlight section highlights last Sunday's inspiring Gun Violence Prevention Forum, thanks to a wonderful summary prepared for us by one of the student organizers of the Forum. Our members have been busy lobbying at the State House, speaking at town meetings, and working with fellow Indivisibles in Kentucky to flip KY-06 from red to blue. 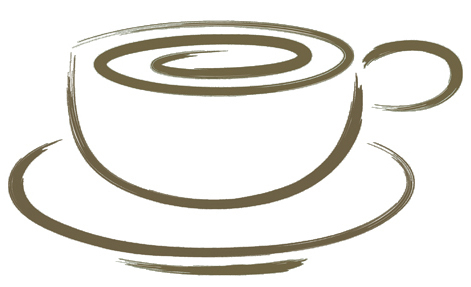 See the MI Happenings section for photos and more details and the Morning Coffee Action section for a variety of ways to take action this week. A painful part of becoming a more mature organization is the sorrow that accompanies the passing of one of our members. Last week, we lost Patti Mars, an active member of our healthcare team; in this issue we remember her contributions and our delight in having the chance to work with her this past year. 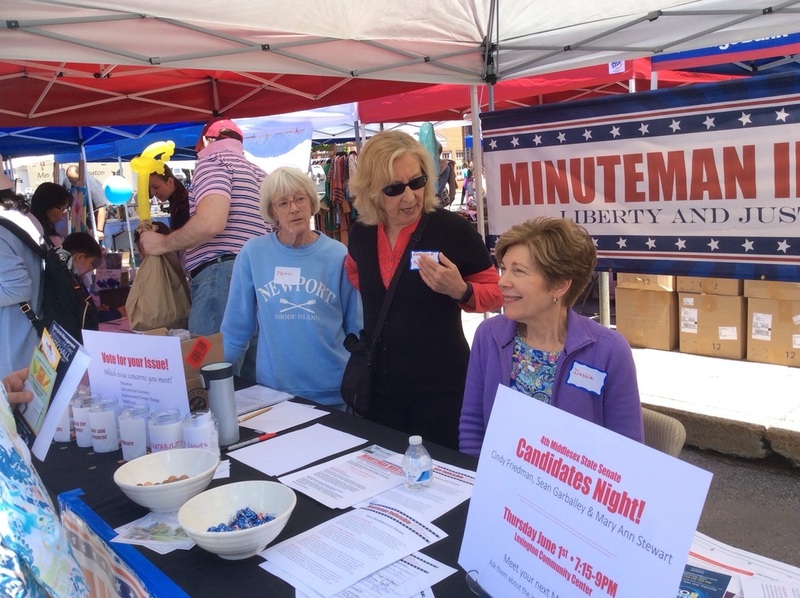 Sign Up To March with Minuteman Indivisible on Patriots' Day! Everyone loves a parade—and the Patriots' Day parade in Lexington is the best! The parade steps off from East Lexington on Monday, April 16th at 2:00 pm and proceeds almost two miles up Massachusetts Avenue ending just beyond Lexington Center. You can march the entire route or join us from your favorite viewing spot at some point along the way. Families are welcome. Sign up to march with us using this link and we'll contact you with details about where we'll be meeting. The Department of Commerce recently decided to add a question about citizenship to the 2020 Census, prompting public outcry from many officials (including our Senators, MoCs, and MA Secretary of State Galvin). MA Attorney General Maura Healey has joined many other states in a lawsuit and several Senators, including Senator Markey, have co-sponsored a new bill (S.2580) to block the change and ensure an accurate census count. Please thank these officials for speaking out and taking action. You can also call the Department of Commerce, Office of Public Affairs at 202-482-4883 to express your opposition to including this question in the census. See the Recommended Reading section below for links to several articles on this issue. Are you excited about Nov 6th 2018 yet? We all want to help turn the House Blue and for that we need to put our words into action. What better way than to phone bank and postcard for our selected candidates? Attend our phone bank and postcard party for both PA-06 and NJ-11. You will make some new friends, enjoy a night out and have dessert and drinks. Please RSVP by clicking on this link and we will send you more info. Feel free to join for the full 2 hours or any other amount of time you are available. 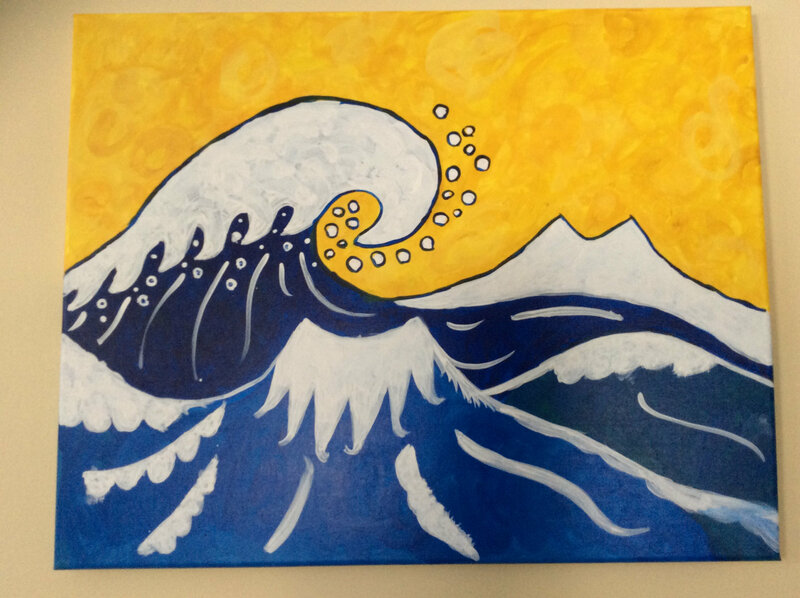 If you can't make it on the 12th, save the date of Sunday, April 29, for an afternoon phonebank/postcard party at WeWork in Central Square, Cambridge. Mass Power Forward is a strong coalition of dozens of environmental groups that is trying to get the Senate Omnibus Climate Bill (S.2302) and other environmental legislation passed in Massachusetts. Please call your state senators and ask them to urge Senate President Chandler to bring S.3203 up for a vote. See this fact sheet for more information on the many issues the bill covers, including provisions on climate policy, renewable energy, and transportation. Since the House isn’t ready to address the Senate bill yet, please ask your state representatives to encourage Rep. Golden, Chair of the Joint Committee on Telecommunications, Utilities and Energy, to report favorably on Renewable Portfolio Standards (RPS) and Solar and revive the Department of Public Utilities Reform that was “sent to study” but is included in the Senate Omnibus bill. Mass Power Forward is encouraging constituents to call on Mondays for greater effect, but calls are welcome anytime! See this link for a sample call script. A coalition of advocacy groups is observing Medicaid Awareness Month in April by conducting education focused on a different topic each week. 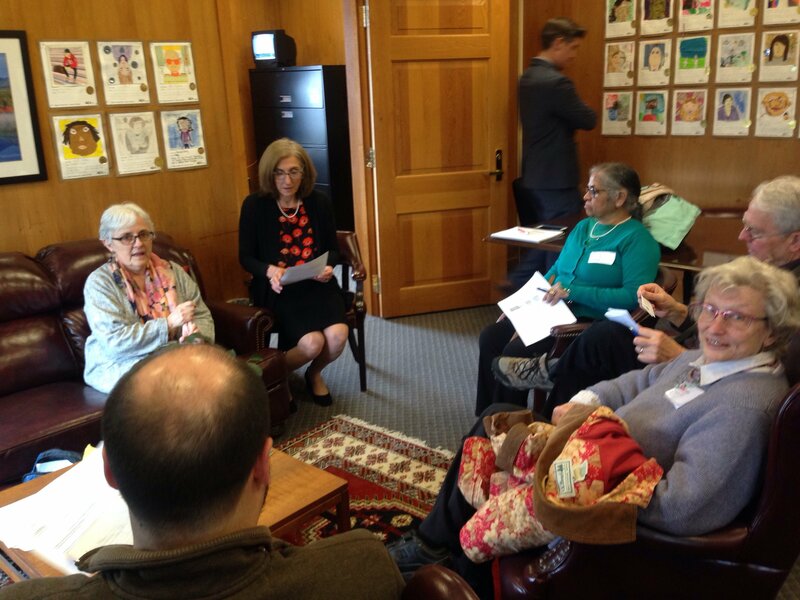 The effort will culminate in a national Medicaid Day of Action on April 30. Medicaid is a jointly funded, Federal-State health insurance program for low-income and other people, including children, the aged, and/or those who are disabled. Protect Our Care now has state-specific fact sheets. Contact our MoCs to thank them for their past support of Medicaid, ask them what they're planning for Medicaid Month, and urge them to do all they can to defend this vital program. Hundreds of concerned citizens came out on a sunny Sunday afternoon at Temple Emunah Lexington to participate in the Forum for Gun Violence Prevention. 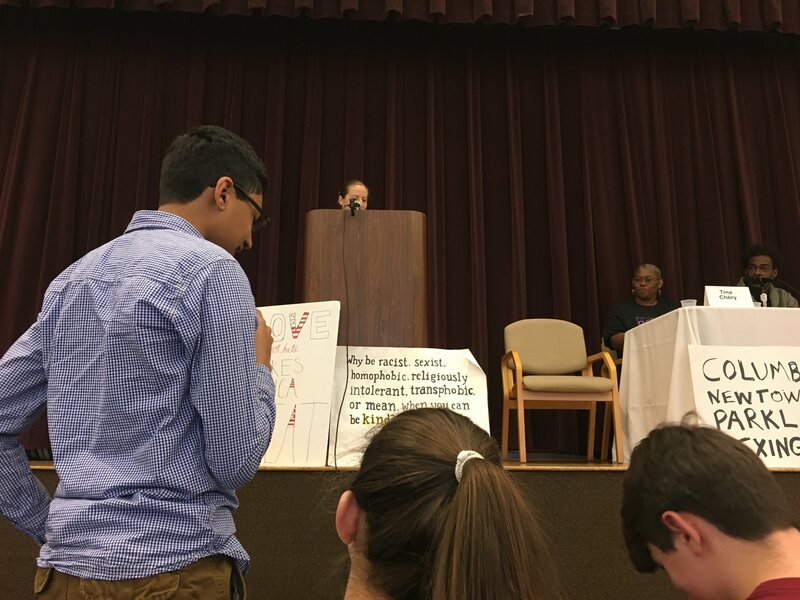 The forum was organized and sponsored by Follen Church Gun Violence Prevention Group along with the student led community group Lexington Says Enough. Rev. Claire Feingold Thoryn from Follen Church moderated the forum. 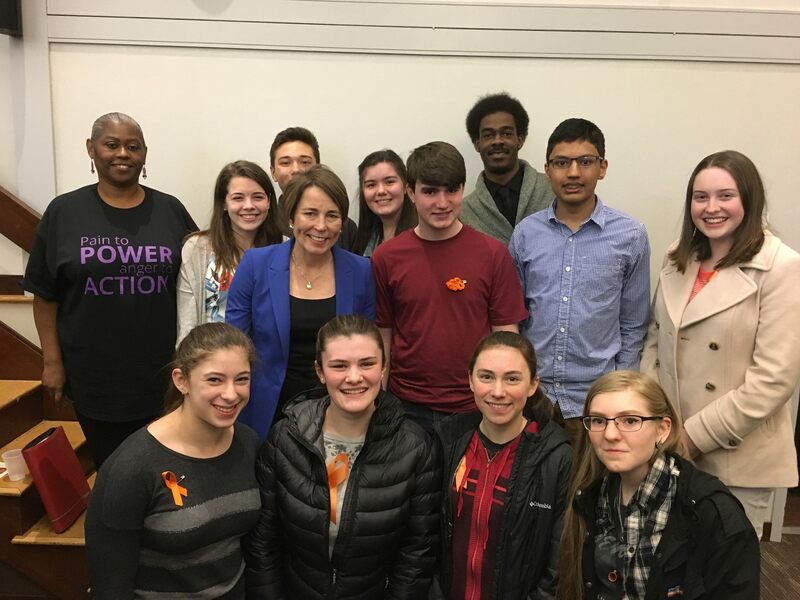 MA Attorney General Maura Healy, Chaplain Clementina Chéry, President of the Louis D. Brown Peace Institute and young activists My'kel McMilen of Mack’s Soles and LHS Sophomore Emily Weinberg were panelists. Chaplain Clementina Chéry kicked off the forum highlighting the valuable work of Louis D. Brown Peace Institute in healing and rehabilitating families impacted by murder, trauma, grief and loss. It was eye opening since we almost always hear about a shooting but most of the time the conversation ends. She spoke about the importance of breaking the cycle of violence by engaging families who are impacted by murder on both sides. She encouraged the community to engage in conversation with compassion and without being judgmental. My'kel McMilen shared a moving personal story of his friends John Silva and Thomas Web -- one killed by gun violence and the other so impacted by violence that he felt the need to get a gun for protection. He shared his insight into how unfortunate circumstances lead young individuals to feel the need to own and eventually use a gun. It is very easy to judge these youth, but in reality until we improve conditions for inner city youth and children, the cycle of violence will continue. My'kel is a founder of Mack’s shoes. The organization collects clean wearable footwear and gently-worn clothing to redistribute them to impoverished youth and adult individuals as well as families who are homeless or in dire need. AG Maura Healy spoke about existing gun safety laws. She also discussed last week's Federal Court decision upholding the Assault Weapons Ban affirming the right of the people of Massachusetts to protect themselves from these weapons of war. She spoke about her office’s efforts to enforce the law and the need to have a holistic approach towards gun related violence prevention in our communities. 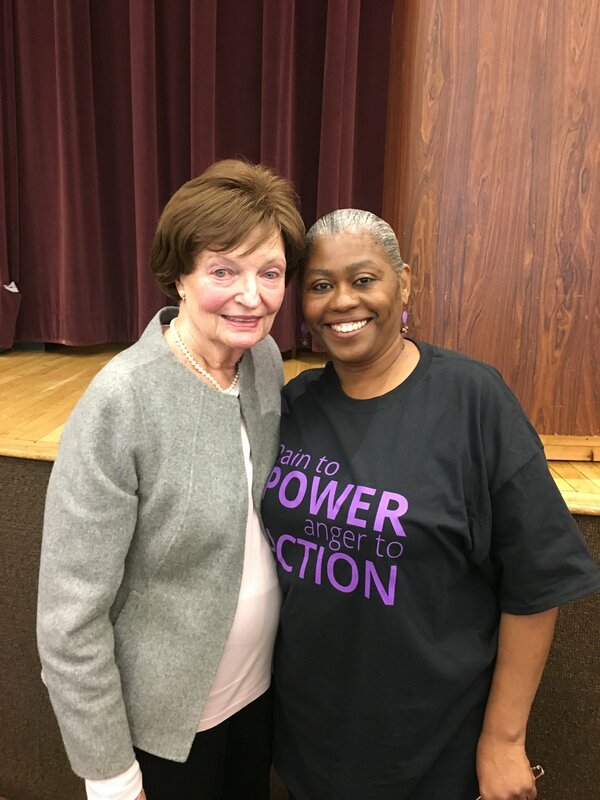 She also encouraged communities to have tough conversations and bridge gaps with folks who have differing opinions on issues/policies where both sides have strong feelings. Emily Weinberg spoke about her experience as an activist and her passion to make schools safer for children. Students from Lexington Says Enough representing LHS, Diamond and Clarke had opportunities to ask thought provoking questions along with the audience. It was evident that gun violence prevention is both a social justice issue and public health problem. Many topics were touched upon including requiring universal background checks, banning some semi-automatic weapons and large-capacity magazines, instituting "red flag" laws, introducing/expanding restorative justice programs, providing social-emotional learning in all grades K-12, and identifying/addressing community stressors that contribute to violence, etc. Temple Emunah was jam-packed with members of the Lexington community and it was heartening to witness the community come together to participate in this important conversation. Thanks to Ann Grady, Chair of the Follen Church Gun Violence Group who has been working for about a year to bring this event together. Thank you to all the members of Community Coalition who volunteered and made this event a success. We're thrilled to report that Town Meeting passed Article 34, a resolution to make Lexington a "Welcoming, Inclusive, Safe Community" by an overwhelming margin (yes -153, no -5) on April 4th. Lexington joins its neighbors, Arlington, Bedford, Concord, and Lincoln, and many other Massachusetts communities that have passed similar resolutions or bills. We're proud that several of our members were actively involved in helping to bring this resolution before Town Meeting; Minuteman Indivisible spoke in support of the resolution at Town Meeting as did several MI members from both the citizen balcony and town meeting floor. On the morning of April 4th, several MI members joined many other Indivisible and progressive groups at the State House to lobby for progressive legislation and stand up for immigrants. The day started with a presentation from Progressive Mass staff and several legislators about key legislation that needs to be passed dealing with issues such as safe communities, automatic voter registration, climate protection, and healthcare. 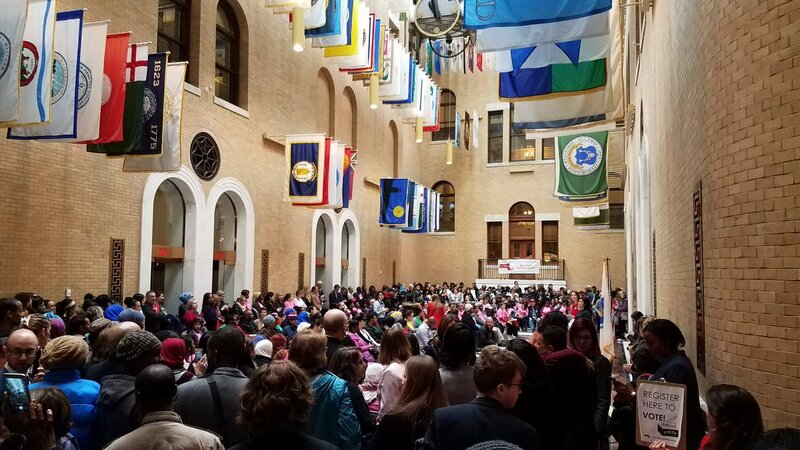 Then hundreds of people gathered in the Hall of Flags for MIRA's Immigrant Day presentation. 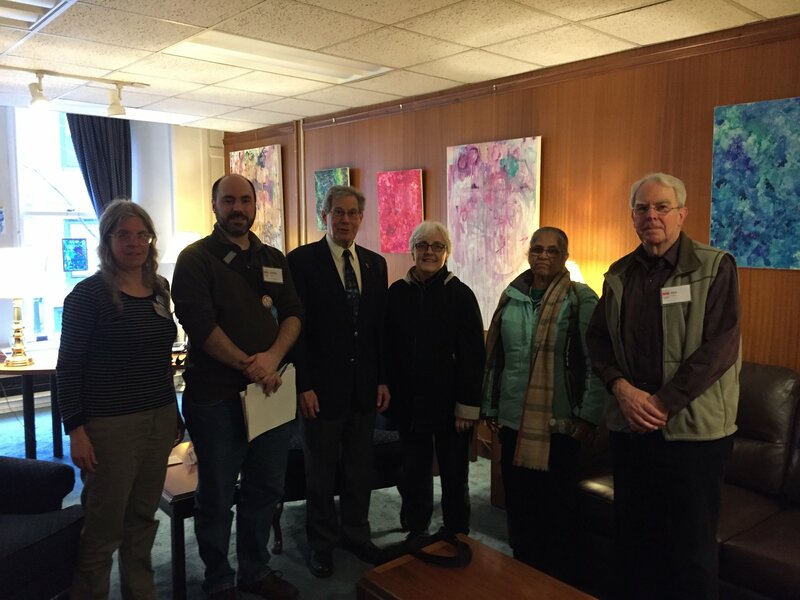 After the presentations, we met with Senator Cindy Friedman, Representative Jay Kaufman, and their staff members to share our views, find out the status of key bills, and learn what more we can do to help these bills become law. The lead for KY-06 Indivisible research, Peter Wedlund, visited Lexington on April 3 to explain how Kentucky progressives plan to flip KY-06 from three-term Republican control. 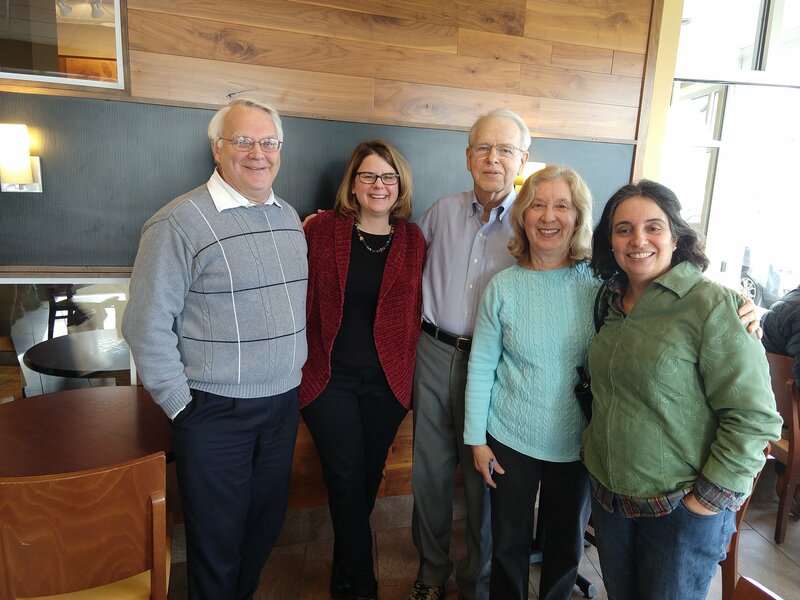 A bit of history - Indivisible Bluegrass and Together We Will Bluegrass merged last year to form Bluegrass Activist Alliance (BGAA). This group is well-run (check out their website) and very motivated - they have five hundred local activists and five thousand Facebook followers organizing against the incumbent and supporting the Democrat—Amy McGrath or some other candidate— who wins the primary on May 22. BGAA has a detailed plan for flipping KY-06 blue, starting with canvassing and leaving the fact sheets we’ve been making as door hangers at houses when they canvass. So we need to keep those coming! Other plans include phone banking, post carding, texting, and advertisements (in newspapers, radio, etc.) to highlight the ways in which the GOP has FAILED to help the working class people of KY-06. More on that and how we in MI can help as those efforts get underway. Peter Wedlund also had a clear message to MI members as BGAA gears up for the election: Our work with them is more important than ever. This district is flippable. BGAA needs our help and they are energized by our interest and support of progressive values in KY-06. You can mail our Elections team using this link if you'd like to be part of this effort. As some of you may have heard, one of our MI members, Patti Mars, passed away unexpectedly last week. She was an incredibly active member of the Healthcare team and a fierce supporter of healthcare rights for the mentally ill. Among her many contributions, she created talking point documents during the long fight to save the ACA and stayed active using MoveOn.org’s texting tool when she began experiencing health issues herself late last year. 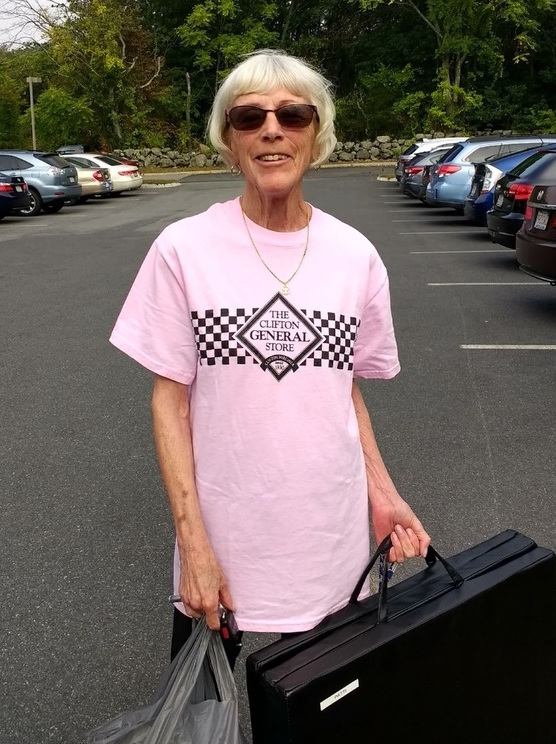 She helped review the MassHealth Morning Coffee Action in the March 27th Muster from her hospital bed and sent an email to the Healthcare team about her plans for new activities when she was discharged from the hospital a few days later. Patti was wonderful to work with – always cheerful and helpful, with a heart of gold and a great sense of humor! She was a tremendous colleague and will be greatly missed. A memorial mass for Patti will be held this Saturday, April 14th at Sacred Heart Parish in Lexington at 11:00am with a reception immediately following at the church hall across the street. Why is a Census Question on Citizenship so Controversial? The administration's recent decision to add a question on citizenship to the census has provoked lawsuits and a torrent of criticism. These articles explain why this proposal has sparked so much backlash and examine some of the potential consequences for our elections, other government functions, private companies, and individuals. One of the more disturbing aspects of the current political environment is the administration's frequent attacks on the press. In recent weeks, these attacks have moved from cries of "Fake News" or name-calling on Twitter to proposals to use government institutions to monitor journalists or punish publishers. At the same time, startling details have emerged about Sinclair Broadcasting's practices. 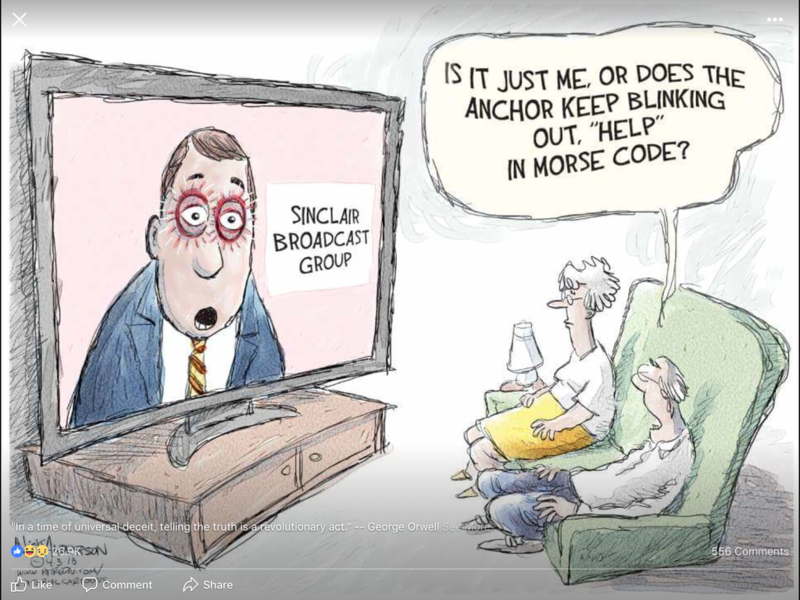 Sinclair, which owns many local TV stations, has been asking these stations to air "must run" segments with pro-Trump messages, and has also put extreme conditions on people that try to leave. Read more about these efforts, then urge our public officials to speak out against them and protect our free press. Repeal the Trump Tax, Pass the People's Budget Stand up for progressive values and priorities at this rally featuring public officials, other speakers, and popular protest band Babam. More details here. This panel discussion of Dark Money: The Hidden History of the Billionaires Behind the Rise of the Radical Right by Jane Mayer features panelists Joan Vennochi, Associate Editor and columnist at the Boston Globe; Dr. Marshall Ganz, Senior Lecturer of Public Policy at the Kennedy School of Government; and Prof. Theda Skocpol, Professor of Government and Sociology at Harvard University. See this link for more details. Indivisible MA 5 and Force Multiplier are hosting this fundraiser for candidate Elissa Slotkin who is running against Republican Mike Bishop in Michigan’s 8th congressional district. Many believe that Elissa has the skills and experience to flip this Republican-leaning district. As a veteran, she has been endorsed by Congressman Seth Moulton, and by the DCCC who made her one of their first choices in their “Red to Blue” campaign.Sign up here to have breakfast with Elissa on April 24th or to make a contribution at any level.